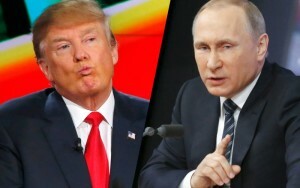 Russian dissident Garry Kasparov on the similarities between Putin and Trump. Hang around politics long enough and you will ultimately come to embrace an ironclad rule. There is no such thing as a coincidence. None of these (seemingly) unrelated facts/events/developments that I unspool below are matters of chance. Together they do not constitute a wildly improbable “coincidence.” Arrange the bullet-points anyway you want and then conclude the whole thing is amazing…or shocking…or worse. Trump and Putin had been featured in separate segments on the same night on 60 Minutes, but the rest of Trump’s claim was a fabrication. He – and we – shrugged it off as another whopper from the Orange Haired Wonder. Putin has returned the compliments. As Trump noted: “A guy calls me a genius, and I’m going to renounce?” I’m not going to renounce him.” Putin didn’t use those exact words, but never mind, this is Trump. The very next day Putin did call Trump a “colorful person” and said he welcomed Trump’s proposal for a “full-scale resumption” of U.S.-Russia ties. Michael McFaul, the U.S. ambassador to Russia until 2014, said Trump’s position toward Russia “makes everyone I talk to around the world nervous — and it makes me nervous.” And David J. Kramer, who served as deputy assistant secretary of state dealing with Russia during the George W. Bush administration, said simply he is “appalled” by Trump’s approach to Putin. Trump has never – big surprise – backed away from any of his praise for Putin or vice versa. Among the relatively few in the world to celebrate the United Kingdom’s recent vote to leave the European Union were Trump and Putin. The French rightwing, nationalist political leader Marine Le Pen was another who praised the UK move. Most close observers believe Brexit serves Putin’s aim to fracture European unity and complicate western economies, while also encouraging nationalism everywhere. It has been well documented that Russian money has propped up rightwing, nationalist movements in Hungry and, of all places, France. Trump’s recent astounding and completely unprecedented assertion that he would not automatically honor the 70 year old commitment to the NATO alliance is of a piece with his embrace of Brexit and, of course, is precisely the same position held by Vladimir Putin. It is no overstatement to say that never before in American history has one party candidate been so completely in sync with the world views of a Russian leader. In order to align with Putin, Trump has had to dump generations of foreign policy consensus. All by itself that is simply an amazing development in American politics. As Trump’s campaign both powered forward earlier this year winning one Republican primary after another, his campaign organization was widely seen as a mess. 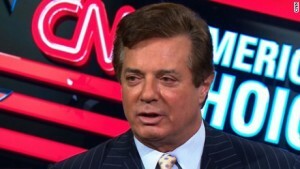 Enter long-time Republican operative Paul Manafort who was installed as the campaign chairman. Before long Manafort, a long-time lobbyist and GOP operative, consolidated his role when Trump’s campaign manager was forced out. One of the great unreported stories of the current political cycle is how and why Manafort came to the Trump orbit. He is reportedly “volunteering” his services. In 2014, Politico published a profile of Manafort referring to the one-time Reagan and Bush aide as “an invisible man” and “a notorious political fixer.” At the time of the 2014 piece, Manafort was emerging as the top advisor to the pro-Putin Ukrainian presidential candidate Viktor Yanukovych. You may recall your recent world history and the fact that Putin has been working hard for years to destabilize Ukraine and prevent NATO membership even to the point of invading and occupying the eastern part of the country. ‘What’s already certain is this,” Politico wrote two and a half years ago, “Even among the many American strategists who test their fortunes abroad, Manafort’s journey from the front lines of the Reagan revolution to the right hand of a Moscow-backed Eastern bloc pol straight out of central casting ranks as one of the more unusual escapades of the Washington consulting class.” Little surprise: lots of money has been involved. Additionally, a Trump “energy advisor,” Carter Page, has extensive ties to Putin and the Russian energy giant Gazprom and a retired three star general, Michael Flynn, a former head of the Defense Intelligence Agency, who recently spoke to the Republican National Convention has been cozy with Putin. Flynn sat with Putin at a dinner recently in Moscow celebrating the founding of Russia Today, the ‘news organization’ that is a key element in Putin’s international propaganda apparatus. Flynn has frequently appeared on RT and may be a paid contributor to the network. He refuses to confirm or deny. If Flynn’s name sounds familiar it is because he had a brief run as a potential Trump vice presidential candidate. Trump comparing finger length with a beauty pageant contestant in Moscow in 2013. Anyone paying attention knows that Trump’s financial empire is as messy as his campaign organization. Most U.S. banks long ago refused to deal with Trump and his ties to Russian banks have covered his mounting debt. In a brilliant piece on the Trump-Russia connection blogger Josh Marshall, he edits the Talking Points Memo website, said of the Republican candidate, “He has steadied and rebuilt his financial empire with a heavy reliance on capital from Russia. At a minimum the Trump organization is receiving lots of investment capital from people close to Vladimir Putin.” Trump seemed to confirm that suggestion when he bragged to a real estate publication that “Almost all of the oligarchs were in the room,” when he traveled to Russia for his beauty pageant. The release of Trump’s tax returns – the fact that he refuses is unprecedented in modern American politics – would go a long way to illuminate the extent of his indebtedness to Russian banks and billionaires. That Trump won’t release those documents, which if they contain exculpatory information would be helpful to his cause, speaks volumes. You needed to be paying really close attention last week to catch this story. During deliberations over the content of the Republican Party platform, Trump representatives killed a resolution that would have placed the party on record supporting “lethal” military aide to Ukraine. That is a position backed by virtually every Republican with any type of foreign policy experience, Senators John McCain and Bob Corker, for example, but hotly opposed by the Kremlin. So Trump forces killed the resolution, apparently one of the few times Trump or his minions paid any real attention to the party platform. Coincidence? You have to wonder why it happened. American security and intelligence officials have confirmed that Russian hackers, likely Russian intelligence agencies, were responsible for the cyber theft of 20,000 emails from the Democratic National Committee’s servers. The FBI is now investigating. The Russian hackers apparently turned the email trove over to Wikileaks, which dumped the material at precisely the moment it would have maximum impact on the Democratic National Convention that began Monday in Philadelphia. Meanwhile, state sponsored Russian media outlets have played the story big, focusing particularly on the forced resignation of the chairwoman of the DNC, Florida Congresswoman Debbie Wasserman Schultz. The email dump, of course, implicates the DNC in a “conspiracy” to thwart the candidacy of Senator Bernie Sanders and help Hillary Clinton. Not incidentally, the Tweeter-in-Chief, Donald Trump, spent all weekend highlighting the email issue. At the risk of seeming to sound like Donald Trump who has rarely met a conspiracy theory he didn’t embrace – Ted Cruz’s father helping Lee Harvey Oswald kill John Kennedy or Barack Obama the Kenyan Muslim – I have to conclude the Trump-Russian connection story is one of two things. Either the dots really do connect and Putin and Russia are actively – and effectively – attempting to influence an American presidential election and doing so with the active support of the GOP nominee…or this is all just one huge, remarkable coincidence. Take your pick. In 1962 United Artists, a big Hollywood film studio, released a film with a crazy, convoluted and politically explosive plot. In the film a foreign government sends a brainwashed ex-American serviceman to assassinate a U.S. politician. 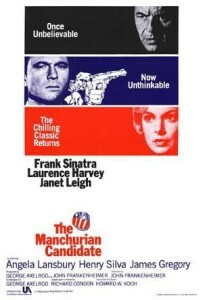 The film was something of a box office flop and many critics concluded that the plot of The Manchurian Candidate was just too farfetched, too implausible. Today John Frankenheimer’s film is considered a classic. Maybe it is just a coincidence that I think about this old film when I think about Putin, Trump, Russian email hackers and the presidential election campaign. Or maybe it is not a coincidence at all.